Cumilla Correspondent: Awami League General Secretary and Road Transport and Bridges Minister Obaidul Quader has said AL leaders who are unacceptable to the people will not get party nomination to vie in the next general election. The Minister told this at a public rally at Gajendranath Bishwanath High School at Eliotganj in the district marking his organizational trip from Dhaka to Cox’s Bazar on Saturday. Earlier, Quader attended another public rally organized by Cumilla City Unit of AL at the Cumilla Town Hall. Speaking on the occasion, Quader said Prime Minister Sheikh Hasina has survey reports on activities of AL leaders. Leaders who have the maximum acceptance to the people as per the survey will get AL nominations, he added. About the BNP’s announcement of waging movement, he said BNP could not wage any movement against the government for 10 minutes in the last 10 years and the party will not be able to do that in future too. After losing public support, BNP is now hatching conspiracies against the government from London and Bangkok, he added. He said AL leaders and workers along with the people will resist all conspiracies of BNP-Jamaat. Highlighting different development activities of the present government, the minister said the country has been witnessing progress in all sectors including health, education, agriculture, information technology, power generation and social safety net. 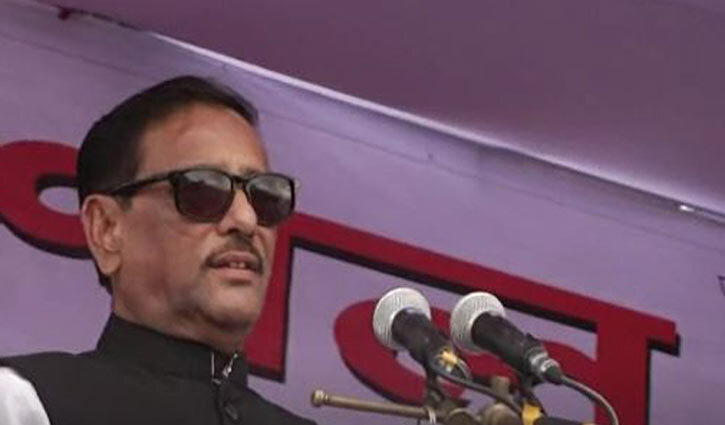 Quader urged all pro-liberation forces to work together to ensure victory of Awami League in the next general election. Earlier, the minister inaugurated construction works of Gazaria road at Bhaber Char in Munshiganj district adjacent to Dhaka-Chattogram highway.